Based on the two-dimensional framework of standardization and authenticity, this chapter examines restaurant group expansion strategies, including both dedicated restaurant groups and those that represent a subsidiary of a diversified restaurant company. This chapter first details the research method and process. Second, it presents four cases. Findings confirm that restaurant groups can adopt four expansion strategies: the standardization of authenticity, standardized chain, authentic alliance, and heterogeneity, and each of these can result in success. Based on: Zeng Guojun, Frank Go, Henk J. de Vries. 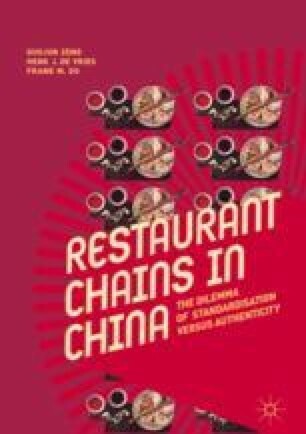 Paradox of Authenticity versus Standardization: Expansion Strategies of Restaurant Groups in China. International Journal of Hospitality Management. 2012, 31(4), 1090–1100.